The most common drug possession offense in Massachusetts is possession of marijuana for personal use. A possession of marijuana charge involves serious consequences which could include jail, a criminal record, and even a loss of your right to operate a motor vehicle. Don’t make the mistake and underestimate this charge. Consult with Attorney Steven J. Topazio to see how he can help. As of January 2, 2009, Massachusetts decriminalized (but did not legalize) possession of one ounce or less of marihuana by making the violation a $100 civil penalty. Don’t be fooled by the change in the law. You may still be arrested for possession of less than an ounce of marijuana if the police believe you possess that marijuana with intent to sell it. The police look for other factors when bringing this elevated charge such as the presence of baggies, scales, cell phones, and how the marijuana is packaged itself; that might suggest that the possession is for resale rather than personal use. A conviction of any drug crime, including simple possession of marijuana, results in a loss of a Massachusetts Drivers License. The length of loss of license depends on the class of drug involved and the seriousness of the crime. A qualified Boston Drug Possession Defense Attorney will know what can be done to avoid a license loss. If you need the assistance of an attorney experienced in defending his clients’ Fourth Amendment rights, contact Attorney Steven J. Topazio for a free case evaluation. An Illegal Motor Vehicle Stop or Search: Not everything a police does is constitutional. Police sometimes act on no more than a hunch and without legal justification. Attorney Topazio knows that illegal police behavior cannot be the basis for the discovery of drugs, and if successfully challenged, those drugs will be suppressed by the Court. If the stop and search are Unconstitutional, then any drugs found illegally will be suppressed and not available for use by the Commonwealth at your trial. Without evidence your case will get dismissed. Recent Changes in the Law: Prior to the passage of the law decriminalizing the possession of one ounce of marijuana or less, police could search your motor vehicle it they detected an odor of burnt marijuana coming from the motor vehicle. Following the passage of MGL c. 94C § 32L, the court reversed itself and no longer allows the odor of burnt marijuana by itself, to be the sole basis for a police officer to legally search your motor vehicle for drugs. Comm. v. Cruz, 459 Mass. 459 (2011). Attorney Topazio challenges searches when the police allege they smell marijuana. An Invalid Search Warrant: When drugs are discovered pursuant to a search warrant, Attorney Topazio knows that often times the warrant is based on evidentiary defects. If the Warrant is defective, the Court will rule the search Unconstitutional and suppress any drugs or drug related evidence found during the search. Possession drug charges can have serious consequences which include jail time, probation, a criminal record, and even a loss of driving privileges. Attorney Topazio is prepared to investigate every aspect of your case in order to identify the right strategy and to build an aggressive defense. Attorney Topazio looks for constitutional reasons to attack the government’s case and will fight hard to prevent the Commonwealth from turning a possession charge into a more serious possession with intent to distribute charge. Boston Criminal Defense Attorney Topazio will use his skill and experience to resolve your case through substance abuse treatment to avoid a conviction or by utilizing Drug Court intervention to avoid a jail sentence. 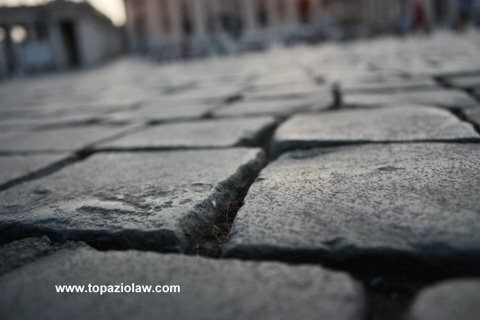 Contact Boston Criminal Defense Attorney Steven J. Topazio online to see what he can do for you. Criminal complaint alleging possession of cocaine in violation of MGL c 94C § 34 was dismissed by way of motion prior to trial. The client was arrested for cocaine possession after Chelsea Police responded to a report of a past assault with a deadly weapon. A description of a motor vehicle was given as well as the number of suspects that were involved in the alleged assault with a firearm. The client was the back seat passenger in the motor vehicle stopped by police. The police ordered the three occupants out of their vehicle and frisked each of them for weapons. No weapons were found. The vehicle was thereafter searched for the possible firearm alleged to have been shown in the initial incident but again no firearm was found. While searching the motor vehicle however, the police located what they believed to be a possible hide in the area of the steering wheel. In the hide the police located a clear plastic sandwich baggy containing cocaine. All three parties were arrested and charged with possession of cocaine. Attorney Topazio challenged the complaint and moved to dismiss the charges arguing that under the circumstances the Commonwealth could not prove that his client as the back seat passenger had knowledge of the drugs nor exercised dominion and control over them in the steering wheel hide and the court agreed allowing Attorney Topazio’s motion dismissing the complaint prior to trial. The client, a 29 year old with his GED, was represented by Boston Criminal Attorney Topazio after he was arrested and charged with Distribution of Class D, Marijuana by Boston Police for allegedly engaging in a drug transaction with another individual. According to the police report, officers observed two cars parked behind each other on Washington Street, in Boston, in which they indicated that the occupants were acting suspicious. The occupants of the first car were described as constantly looking around and appeared to police to be waiting for the arrival of someone. The client was observed exiting the second motor vehicle, and then walked up to the first motor vehicle, leaned in, where the police observed the parties manipulating unknown small items. The client then walked back to his motor vehicle. The police believed they witnessed a drug transaction and stopped the first motor vehicle to investigate further. The occupant of the first vehicle stated he obtained “weed” form the client. “Weed” is street terminology for marijuana. The occupant stated that the client did not take any money from him but that he gave the marijuana to him as a gift. Attorney Topazio challenged the stop of his client arguing that when police conduct a search of an automobile without first obtaining a search warrant, the Commonwealth bears the burden of proving “the existence of both probable cause to believe that the automobile contained contraband and of exigent circumstances to justify proceeding without a warrant.” Attorney Topazio argued that his client’s passing of a small non-criminal amount of marijuana to another for no remuneration as in this case constitutes social sharing of marijuana and is akin to simple possession, and does not constitute the facilitation of a drug transfer from seller to buyer that remains the hallmark of drug distribution. For this reason, Attorney Topazio argued that the social sharing of marijuana does not violate the distribution statute. Today on the day of trial, Attorney Topazio was successful in getting the case against his client dismissed. ResultSchool zone charge dismissed and Client avoids mandatory jail time and receives continuance without a finding. Result: Client credited additional jail time toward “from and after” sentence for time served under an erroneous conviction when the client would otherwise face dead time for the vacated sentence. Result: Client avoids detention and released on personal recognizance. Case pending. The client, a 24 year old college graduate, was arrested and held in custody after being charged with stealing court documents from the East Boston Court House, hired Boston Criminal Defense Attorney Steven J. Topazio to represent her. Prior to being arrested, the client was in the East Boston District Court House where she proceeded to the clerk’s office to retrieve her court record. After being provided with the records the client left the court house instead of copying the files. According to the police report, while in the booking area of the police department, the client dropped a bag of cocaine. The client was initially held on bail and ordered to remain drug and alcohol free and to submit to random urine tests upon her release. After posting bail, Attorney Topazio filed a motion to modify the terms of pretrial release arguing that the Supreme Judicial Court in the case of Commonwealth v. Dodge, indicated that no statutory authority exists under the bail statute (M.G.L. c. 276 § 58) to make a defendant’s pre-trial release subject to conditions, and the court agreed and vacated the conditions of release. Today, Attorney Topazio persuaded the court to grant his client a CWOF on the possession of coke charge so as to preserve her driving privileges, and probation on the a single count of larceny after dismissing multiple larceny and withholding evidence charges. Result: Client receives a CWOF and probation after dismissal of seven counts. The client, a 20 year old high school graduate, was arrested after being seen by neighbors snorting cocaine while parked in his automobile, hired Boston Criminal Defense Attorney Topazio to defend him. When the police responded to the neighbor’s call to investigate the alleged crime, they allegedly witnessed Client driving home in a different area of town without issue. Despite this fact, the police effectuated a motor vehicle stop with the intent of searching the client, and found cocaine in the client’s motor vehicle. After months of investigation, Attorney Topazio filed a motion to suppress the narcotics that were seized from Client’s car. Attorney Topazio argued that that the stop of his client’s car was unlawful and that there was no probable cause to search his client’s motor vehicle as well. Despite Attorney Topazio’s argument that a search made pursuant to the automobile exception must be based on probable cause to believe that a crime has been committed and that evidence relevant to that crime may be found in the automobile, the court denied the motion to suppress and the case proceeded to trial. Today at trial, Attorney Topazio was successful in getting the case against his client dismissed. The client, a 27 year old High School graduate, was arrested for possession of a class B substance, suboxone, who had defaulted several times during the course of his case, retained Attorney Topazio. Attorney Topazio realized that his client had suffered several substance abuse relapses in his fight against addiction and felt that it would be better to help his new client learn the skills to fight his addiction rather than risking that he be held in custody following a trial if he were committed. Attorney Topazio provided the names and addresses of both outpatient and inpatient substance programs to his client and helped him enroll in a substance abuse program prior to appearing in court. Today, Attorney Topazio convinced the District Attorney and the Court to place his client on a six (6) month period of pre-trial probation provided he remain drug free. Pre-trial probation is an agreement between the District Attorney and the defendant/client that occurs before a trial, plea or admission to sufficient facts; that results in a general continuance with an agreement that the case end in a dismissal. While pre-trial probation requires that the defendant be placed on either supervised or administrative probation monitored by the probation department, a successful completion results in a dismissal. A violation of pre-trial probation however does not cause the defendant/client to be surrendered and face potential jail time, which would happen if on regular probation, but rather only causes the case to be placed back on the trial docket. Result: Case to be dismissed following term of pre-trial probation. Result Subsequent offense dismissed upon plea to amended complaint and case continued without a finding for one month avoiding license suspension.